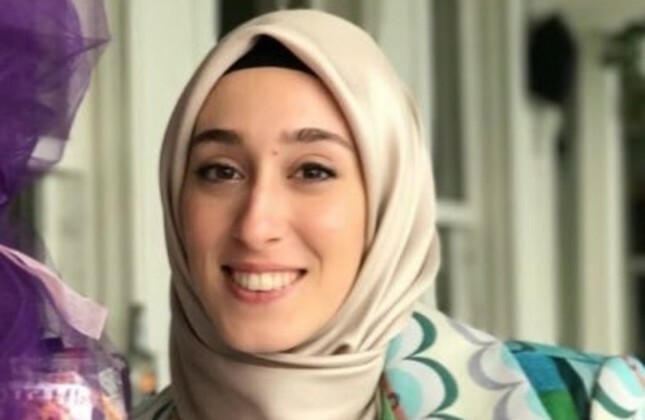 AK Party's Istanbul parliamentarian Rümeysa Kadak is the youngest at age 22. Turkey voted for its 27th Parliament on Sunday and a variety of deputies from former athletes to actors, as well as young members, were appointed. Among those who have been elected as parliamentarians for the first time, Kenan Sofuoğlu, a world champion motorcyclist, is singled out as one of the biggest names. Being elected as a parliamentarian of Justice and Development Party (AK Party) from Sakarya province, Sofuoğlu announced in May that he would retire after one final race in Italy, ending his 15-year racing career with five Supersport World Championship titles. In a Facebook post, Sofuoğlu said he took the decision after his family and loved ones insisted, including President Recep Tayyip Erdoğan, who Sofuoğlu said personally asked him to retire after he suffered repetitive injuries. In 2007, Sofuoğlu won the Supersport World Championship, a motorcycle racing competition on paved surfaces. After his 2007 win, he became a Kawasaki rider in 2013, and won his third title in the same year. In 2015 and 2016 he won two more titles. Another former sportsman Alpay Özalan, a Turkish football manager and former footballer, also became an AK Party parliamentarian from İzmir province. Parliament also has diversity in terms of gender and age. It has 78 women parliamentarians, which was 75 in the previous Parliament. Approximately 39 of the women parliamentarians are from the AK Party. One of these women is AK Party's Istanbul parliamentarian Rümeysa Kadak, who is also the youngest at age 22. With the changes that come with the new presidential system, the age of running for Parliament has been lowered from 25 to 18, which caused 113 young people to run on Sunday from mainstream parties. Barış Atay, an actor who was detained in May for a brief time for his posts on social media, is another famous name that has a seat in Parliament. Atay was elected as a parliamentarian of the pro-PKK Peoples' Democratic Party (HDP) from the southern Hatay province. Journalist Ahmet Şık also became an HDP parliamentarian from Istanbul province. Şık was accused of having links the Revolutionary People's Liberation Party-Front (DHKP-C) terrorist organization and detained for the same reason in December 2016. Şık was released in March 2018. Şık was released in March 2018. Some well-known politicians also secured seats in the parliamentary elections, such as controversial figures like Abdüllatif Şener, who comes from a conservative background. Being considered as one of the possible candidates of the main Republican People Party (CHP) for the presidential race previously, Şener became the Konya parliamentarian of the CHP. Şener, 64, is a former AK Party deputy, however, he began his political life in the conservative Welfare Party (RP) in 1991 and later in the Virtue Party (FP), which was the continuation of the RP after it was shut down. He joined the AK Party in 2001, as one of the founders, and stayed with the party until 2008. Due to disagreements, Şener parted ways with the AK Party and established the conservative Turkey Party (TP) in 2009. However, he has not been successful in the elections since, unable to get into Parliament.